Discussion in 'Vendors' started by Brtp4, Oct 12, 2012. 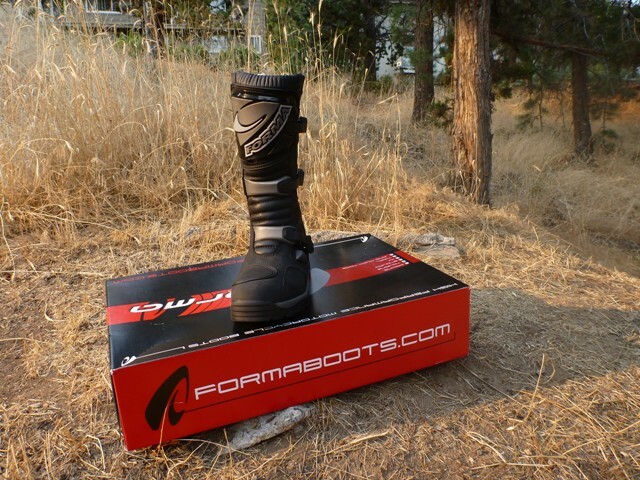 We added the Forma Adventure boots to our line a while back. We know the Forma brand well, like the company, and really like this model. 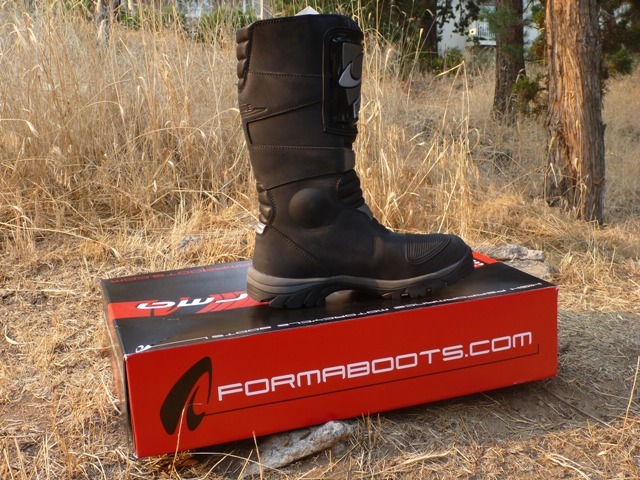 Forma is premium quality Italian brand, and the Adventures are comfortable, lightweight, wide, waterproof, and easy to walk in. Concerning only protection... how do these compare to Alpinestars Scouts and Gaerne G-Midlands- how would you rank those three? The design of the Adventures is a good fit for ADV and DS riding. I have used a pair off and on over the last two years, and we have another pair out on an extended test. That pair is rotating between multiple riders, and was here in the office today. ....and left them in there for ONE FULL HOUR. 30 minutes in standing water is a long time. Additionally, because it is submerged, the water can soak the exterior shell, and find any pinholes of leaks in a waterproof liner. We left these in for 62 minutes. One from the toe area...dry. Hard to see but interior....dry. In our opinion, these passed the waterproof test. They already have between 500 and 1000 miles on them, but we sent them out with a 3rd person to get some additional miles on them. They are well liked by all so far. We will post up more later. 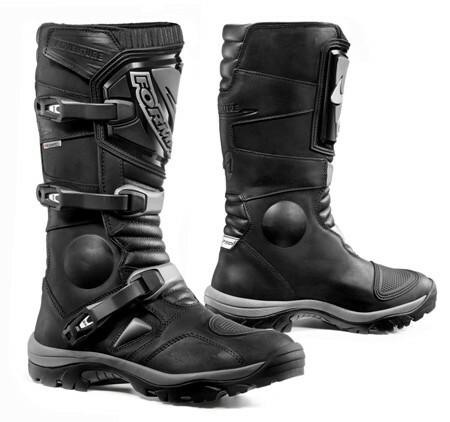 Compared to the Forma Adventure, the Alpinestars Scouts and the Gaerne G-Midlands are similar in the ankle area for protection, but more rigid in the midsole area. Overall, those two are slightly - slightly - more toward the side of protection, but they are both also more cumbersome to walk in. In particular, the Scout quite a bit more clunky because of its PU-coated leather. The Adventures are quite a bit easier to walk in. Additionally, the Adventures have the widest toebox of the three. The Midlands are in the middle, still normal. 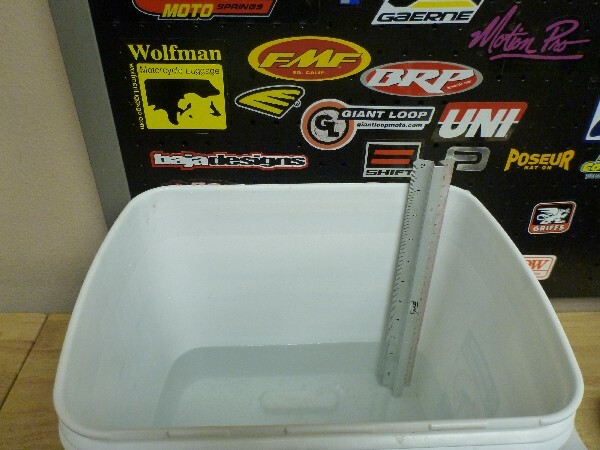 The Scouts are somewhat narrow, which is uncharacteristic for Alpinestars. 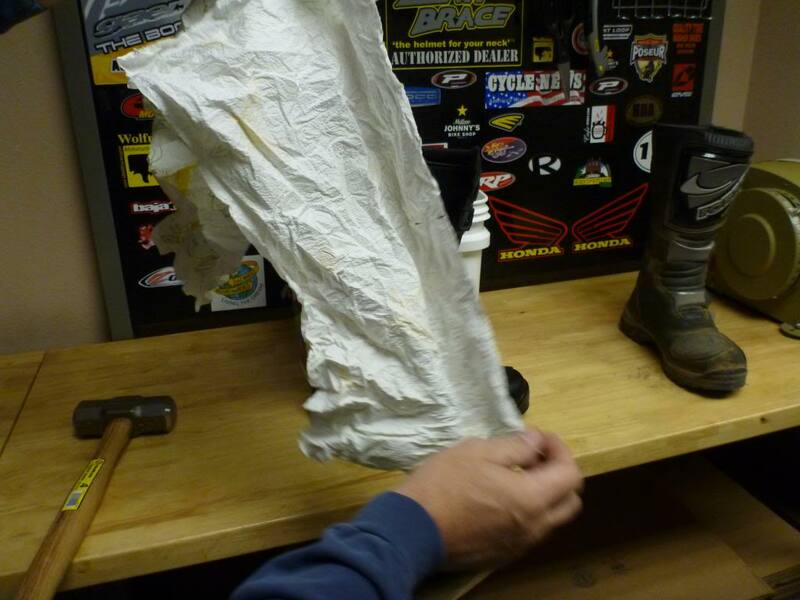 Brian, are these stiff enough in the arches for long stints while standing on the pegs? Will you be doing a thread on the Forma Capehorn boots as well? edit: Oops, you answered my fitment questions while I was typing. They have reasonable stiffness under the arch, and I have worn them on many full days. But the sole under the ball of your feet has a lot of flex. 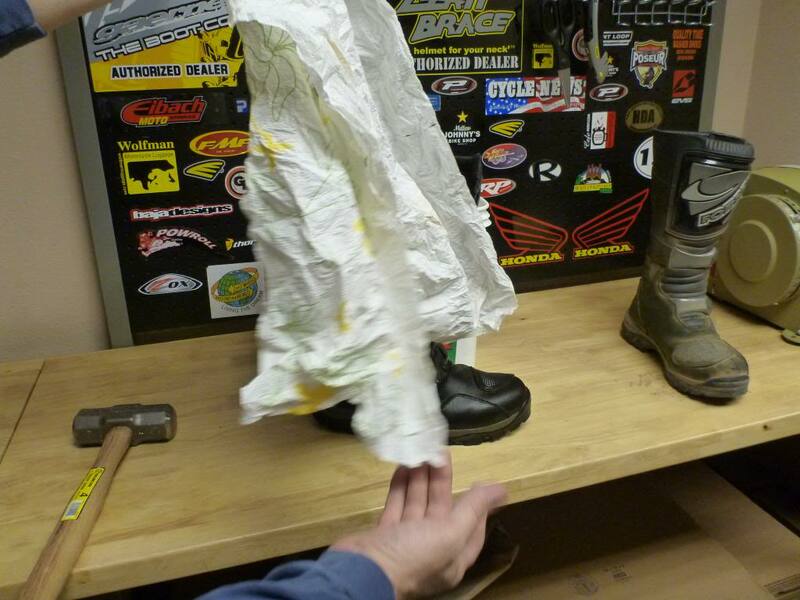 Planning to do the Capehorns, and a bunch of light MX boots, shortly. These are badass. I'll be picking up a pair soon. I have read your reviews on the Gaerne boots and am wondering how these compare to the Gaerne Adventures or Balance in terms of walkability and protection? Battmo and arabicgelato like this. The GAERNE G-Adventures (Gaerne, NOT Forma Adventures) are well made, but quite a bit softer and less protective. They are very easy to walk in, but we feel the Gaerne G-Adventures are more of a touring boot, good for only very light off road use. The Gaerne Balance and the FORMA Adventures are similar for walkability. But they get there two different ways...the Gaerne is softer at the ankle, the Forma softer at the midsole. Frankly, the Formas, with more ankle protection, are probably slightly more protective, and a more clever design for ADV and DS use. It certainly does help and thanks for the quick reply. 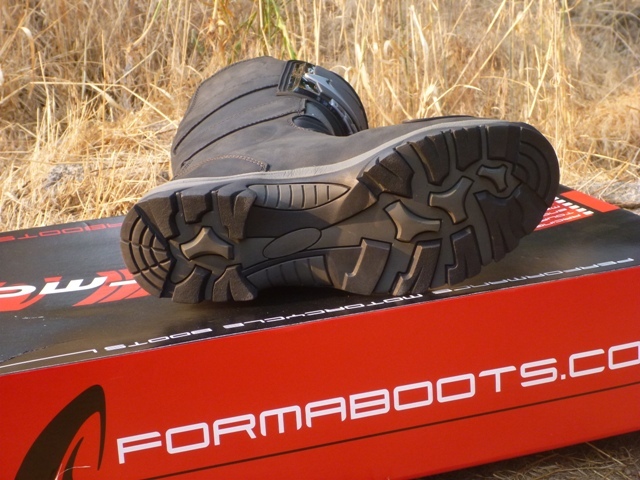 I think that while all these boots would fit the bill for me, sounds like these Forma's might be the best option in terms of protection and walkability. I'll be in touch in a few months when I am ready to make a purchase! Thanks again! 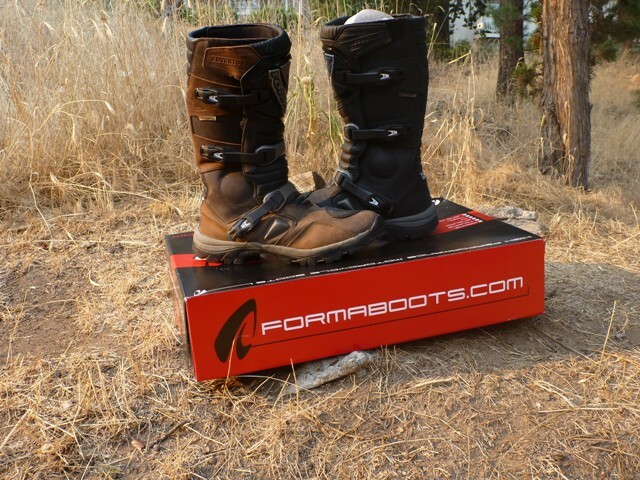 I'm dragging this back from the grave - but do the Forma Adventure boots work equally as well as touring boots that see dirt/fire roads and lousy weather but not true off-road? As in... a 3 season, walk around camp, ride 500 miles in the rain, hit some dirt fire/power line roads to get to the top of the mountain kind of boots? 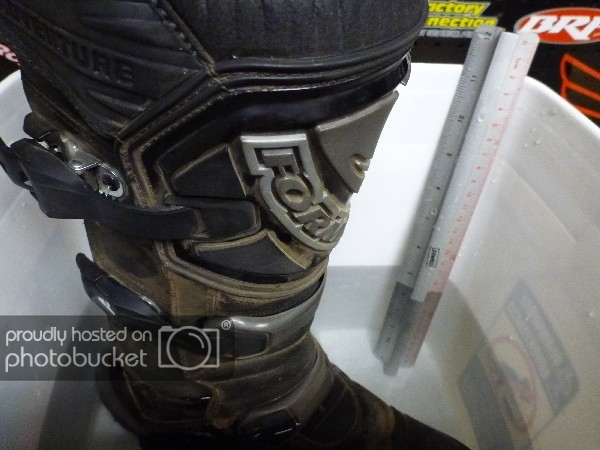 I like the idea of extra protection, the waterproof test above is awesome and they look good but... they are marketed directly at the DS/off road crowd. Is that because they would be cumbersome or too hot for all-purpose use, etc? I'd like to know the answer to that as well. 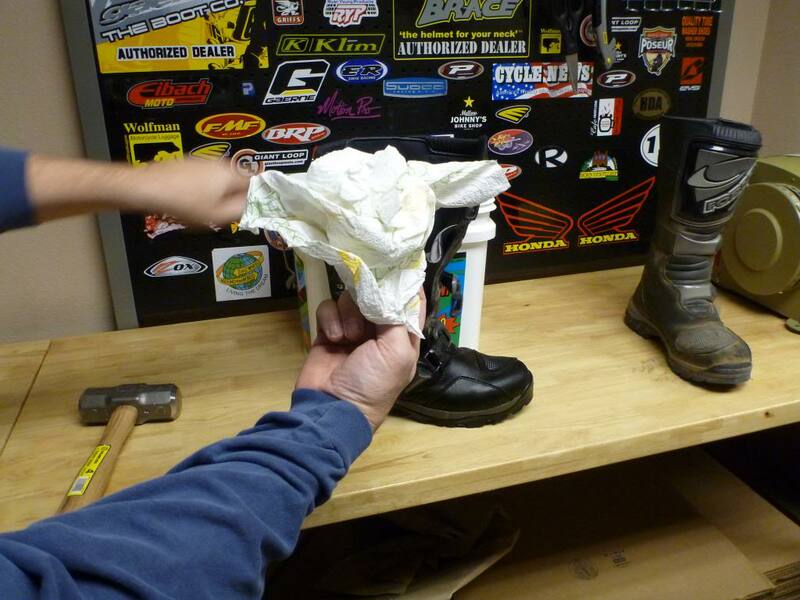 Looking for a replacement to my Sidi Adventure Rain boots....which leak bad. 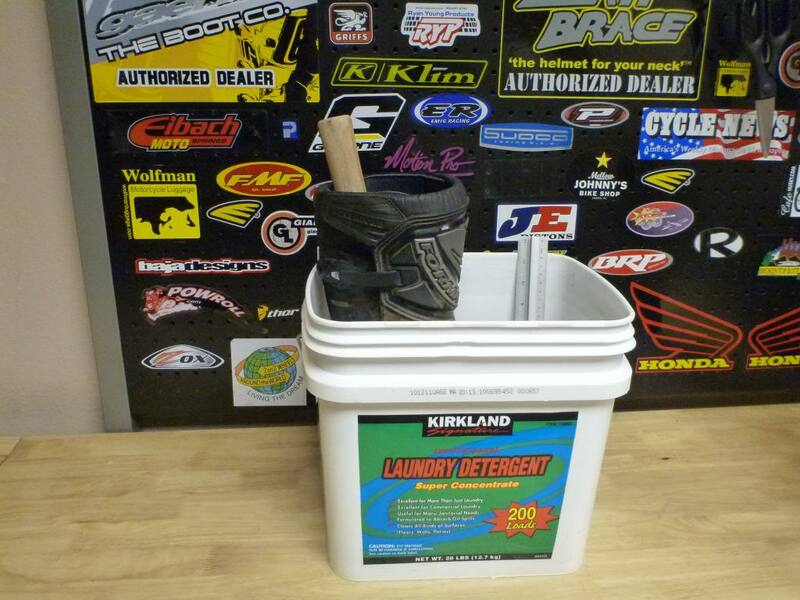 The other thing is the Sidi's are stiff even after several season of use. I'd like something a bit more supple to walk in.....they seem to pass the waterproof test. In a masterful stroke of google-fu I managed to answer my own question with this list of threads from this forum. And FWIW, the answer seems (at least for me) to be yes. Your question is tricky to answer, I need to break it down into two parts. First, generally speaking, I think Adventure boots work better for touring use than most touring boots. Touring boots tend to use softer leather, narrow bonded soles, and zipper closures (which I do not care for, they offer little clamping force). 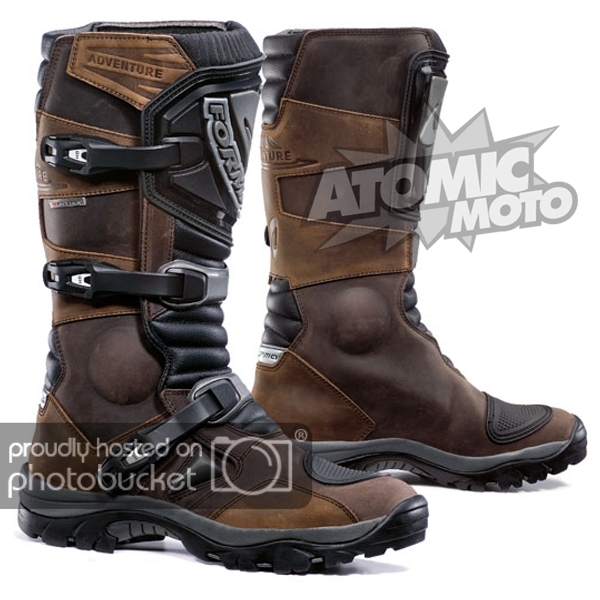 Conversely, ADV boots have wide heels and soles, buckles (and velcro sometimes) and sturdier construction. These attributes are better for general use in the same ways hiking boots are better than dress shoes: more substance, and materials chosen for function rather than looks. Depending on the design and how well executed it is, they are sometimes a little more bulky. This is inconvenient, but that inconvenience is a worthwhile tradeoff for how much better they distribute weight, their stability when walking on uneven ground, etc. There are variances model to model, but basically if you are asking the question in a functional context, I feel ADV boots are better as footwear, AND as boots, than touring boots. Secondly, to answer your question more specifically, a point you made needs to be highlighted. 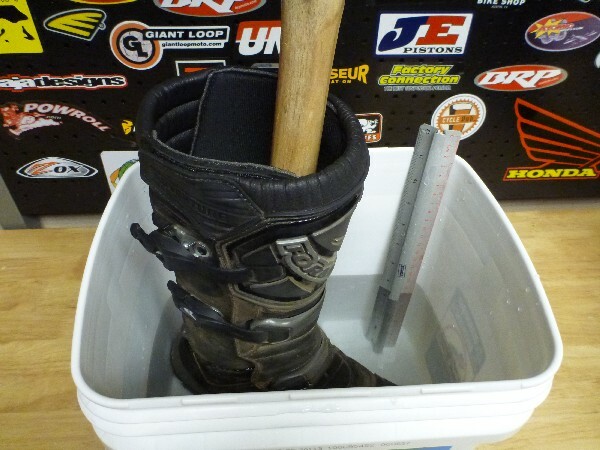 Yes, ADV boots work well when used for non-true offroad use. But....if you are riding powerlines, which are generally pretty rough, you ARE doing true off road riding. 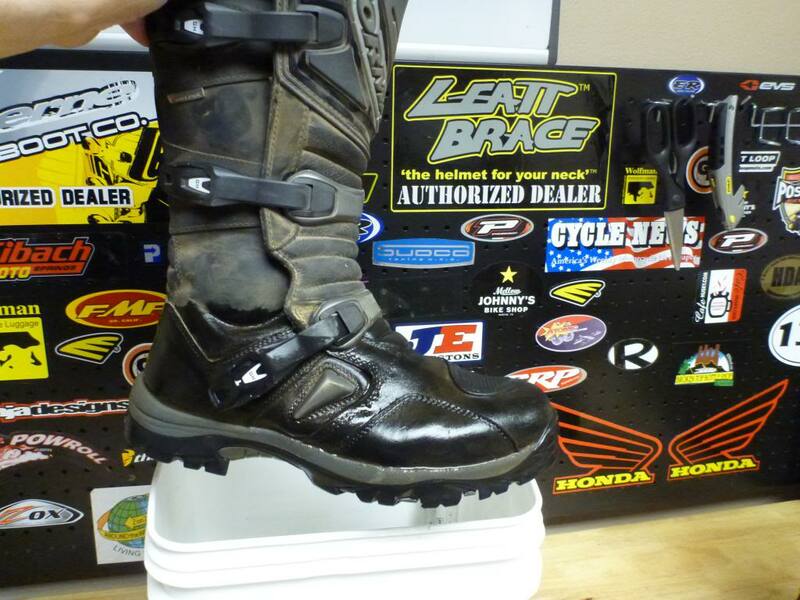 The footwear needs of true off road riding are at odds with the convenience and comfort you are seeking. You need to either accept the risk of this, or give up some of the convenience and comfort you are looking for. Basically, weigh protection vs comfort and decide what balance works for you. If we exclude true, rough terrain offroad riding, the Forma Adventures are one of the best choices available. 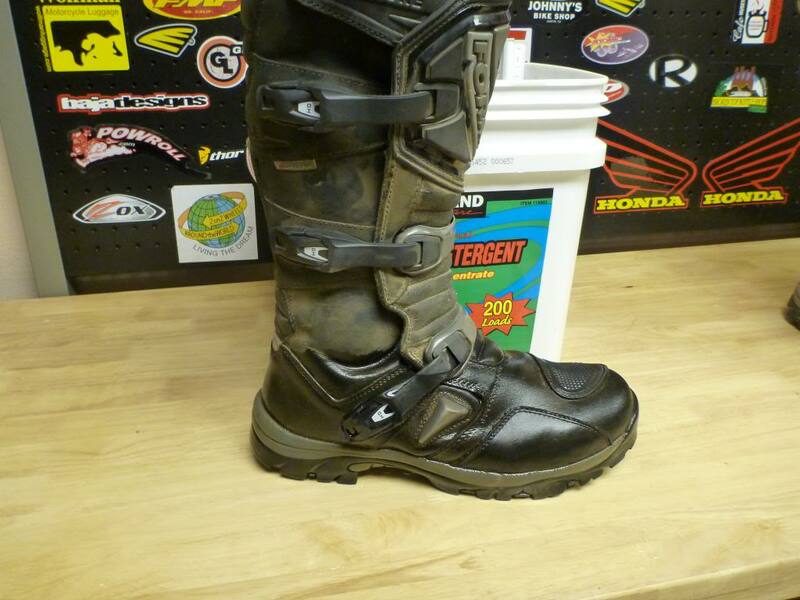 There are ADV boots with more protection (Siding Adventure, Alps Toucan) but those are far less walkable. The Gaerne Balance Oiled is more comfortable, though not by much, yet has less protection. The Adventures, which feel a lot like a hiking boot, exist in a sweet spot in the category. 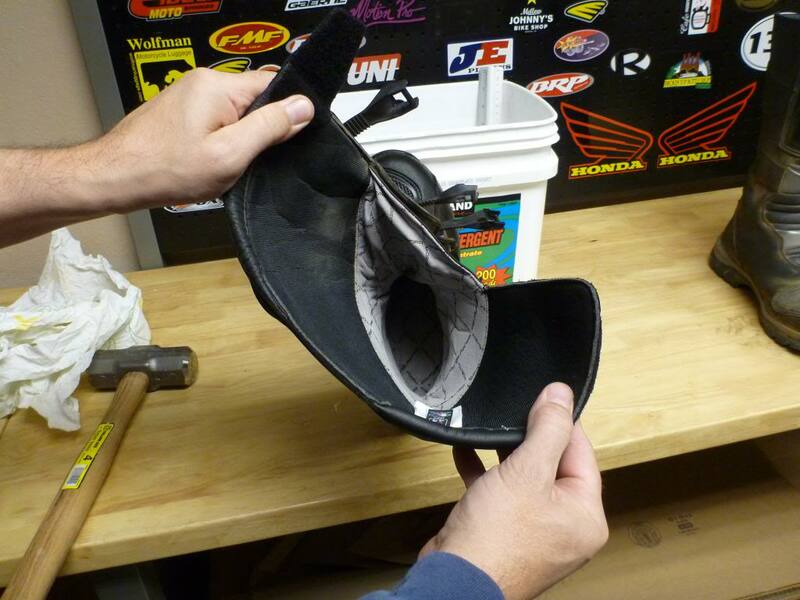 AFA drawbacks, the toebox is a little bulky, both externally and internally. I wish it were a welt sole, but actually the bonded sole is what gives it the feel of a hiking boot. Reliability on them has been fantastic, almost zero issues. To summarize, for anything other than true offroad use, they are a great choice, one of the best in the category. 78er and DirtWizard like this. Thanks for the lengthy write-up. Very helpful. 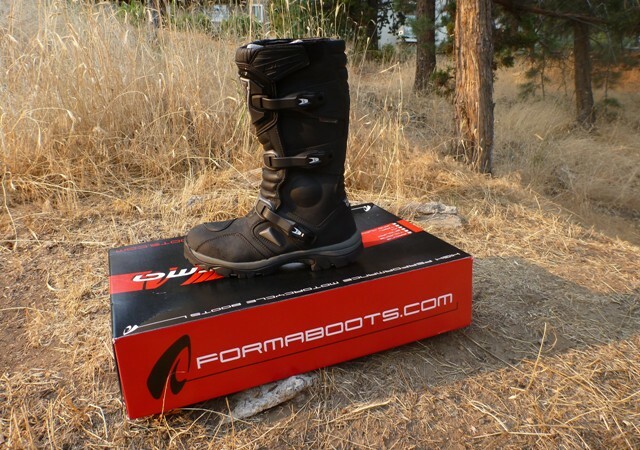 I just bought a pair of the Forma Adventure boots. I bought them from Atomic Moto and the service is top notch. I spoke with them on the phone prior to the order and for sizing, they were right on the money. 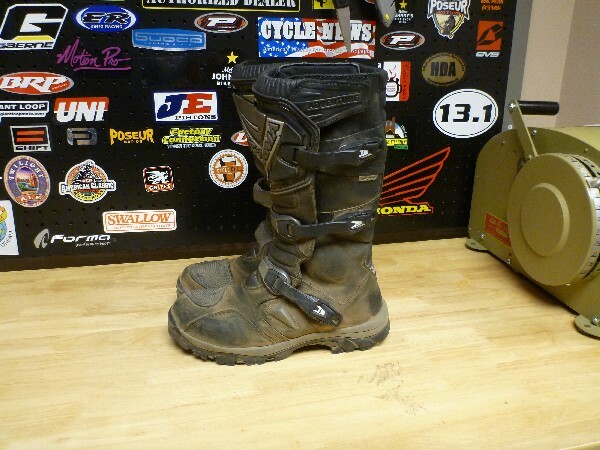 I tried numerous boots for my style of riding...about 60/40 road/dirt. My style of riding when off road is adventure style...no enduro for me. I've read the entire page and I may be wrong, but when you are not on pavement, you are off road. I guess some will question the extent of this statement, but if I'm on dirt, rocks or sand...it's off road. I bought a pair of Alpinestar Scouts in size 11 (I wear a 10.5) and they felt extremely huge and returned them. I then tried a size 10 and they were too tight on top of my foot. I tried many more different boots, but done fit. I was worried about the same thing with these boots until I tried them on. These by far are the most comfortable boots I've ever had. I wore them around the house for about 3 hours with zero pressure points or pain. Very well made and besides the comfort factor, they look pretty cool too. The only adjustment I had to make was raising my shifting lever by a few millimeters. I have worn a pair of thee boots for nearly three years. The left boot leaks. 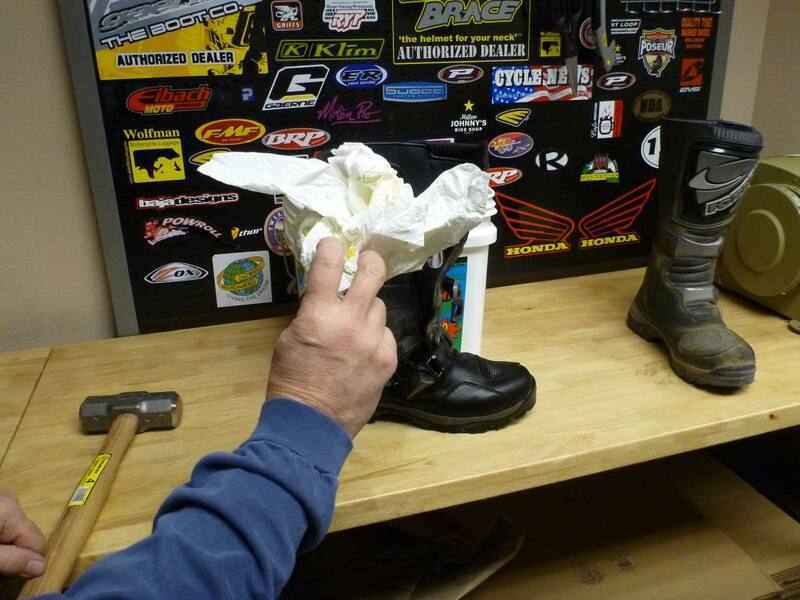 It did not leak to start with but it does now and there is no obvious external damage to the boot or any major wear for that matter. 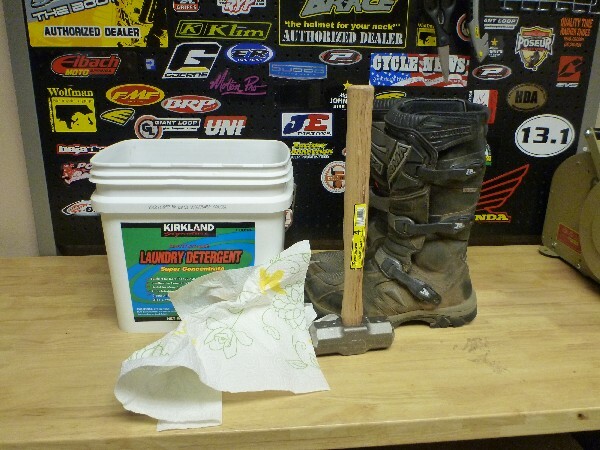 No matter how many times I apply Nik Wax waterproofing solution I always get a wet left foot even riding in rain for a relatively short period. Love the boots hate the wet foot. Has anyone had the same problem(i.e., leak in their Format adv water proof boot)? If so, did you contact the vendor for a replacement or refund? Hopefully, this vendor is not like some of the others who don't stand behind their product and reputation.